Pricing | My Kids' Entertainment-We specialize in creating smiles! The Birthday child will get added details and embellishments as well as a small birthday favor! Customized to fit the theme of your choice. Your face painter will bring lots of full color design choices to pick from, which can be catered to your guests’ ages and genders. Usually takes about one hour, and includes travel to anywhere in Salt Lake County. Customized to fit the theme of your choice. 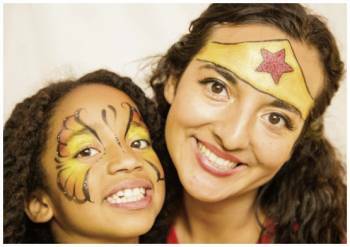 Your face painter will bring lot’s of full color design choices to pick from, also catered to your guests’ ages and genders. Usually takes about 2 hours, and includes travel to anywhere in Salt Lake County. All for only $175–A Better Value! Is your guest list more than 14 but not quite 26? We now offer Balloon Art! We have two different options for you depending on whether you are interested in simple or complex balloon designs. Kids love balloon animals-please ask us more about this exciting addition to your party! You can add Glimmer Tattoos to any party at a discounted hourly rate of $75 per hour. One of the great things about Glimmer Tattoos is that they are waterproof and last several days! You have your choice of having a separate person to come work alongside the face painter, or having the face painter do the tattoos after painting. Travel Fee for anywhere outside of Salt Lake County: $15 *If you are in Utah County, ask how you can get your travel fee waived! We are also available for your next company party or promotional event! Whether you need your grand opening to attract a huge crowd, to promote a cool new product, or to say thank you to your valuable employees, we have an amazing team that can make it happen! 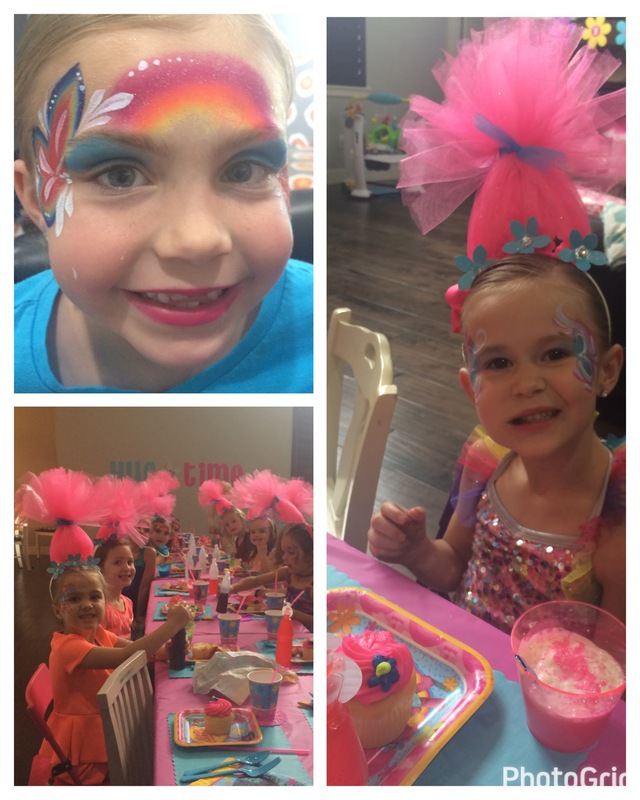 Our crew of face painters and/or balloon artists are available to accommodate any size event. We work with your staff to offer quicker designs that will be pleasing to all of your guests. Please contact us for a customized quote for Corporate Events. Since every situation is different, please contact us if your event doesn’t fit into one of our packages! After we have corresponded and agreed upon a date and time, a deposit via Paypal or credit card reserves the date & time of your event on our calendar. The deposit is deducted from the total price of your package. We also offer a discounted rate for churches, schools, libraries, and other non-profit organizations. Please call 801-897-5836 or email us for a price quote!